Today was the last day of camp! We began with more logic puzzles and then we went upstairs to listen to more Trackers. We then had a quick snack break and played some more silly games. Next, we read from our graphic novels and finished our videos. Students exchanged iPads and watched what the other groups created for their videos. It was fun to see all of the interesting, funny, and informative videos the students created! After our video viewing party, we headed out for a field trip to Las Paletas in Hillsboro Village for popsicles. Students got a variety of flavors- everything from cookie dough to avocado! Last, we headed back to listen to and watch the conclusion of Trackers. Students went home with the sequel to Trackers, their graphic novels, as well as two new books of their choice. We hope everyone has a great summer with lots of reading ahead! We had another wonderful day at camp! Students once again began with completing logic puzzles. They definitely seem to be getting easier for them as the week goes on. Next, we went upstairs and listened to more of Trackers. After sitting and listening, we took a restroom break and played some more silly games like "Ooga Chooga Ooh". Next, we read more from our graphic novels and then we went outside to enjoy the lovely weather and have a snack. Finally, we came back in to work on our videos on the iPads using the Explain Everything app. Many of the students are making promotional videos for Patterson RAPS. It has been so fun to see what each group is coming up with! Last, we listened to another section of Trackers before heading home. It's hard to believe tomorrow is our last day. This week has flown by! We are rolling right along! Day 3 of camp began with more logic puzzles. Our brains are getting stronger every day! After completing the logic puzzles, we headed upstairs to listen to more of Trackers. Next, we had a quick break where we played the game "Ooga Chooga Oo." Students stood in a circle and said the words and then pointed to someone else in the circle. If two people were pointing at each other, then they were out of the game. It was a lot of fun! We then settled in to continue reading either El Deafo or The Odyssey in small groups. The graphic novels seem to be a huge hit with our students this summer. Some didn't even want to quit reading when it was time to go outside! After reading we headed outside to run around and have a snack. Students played their favorite game, "If", and one of the graduate students taught everyone a new game called, "Buddy Tag." Even though it was super hot, we had lots of fun. Finally, we headed inside to work on our videos on the iPads and read another section of Trackers. It's hard to believe camp is over halfway over! We had a great day 2 of camp! Students came in and did some more logic puzzles. We then headed upstairs to listen to more of Trackers by Patrick Carman. Next, we took a break and played the game, "Captain's Coming!" It was fun to see everyone try to remember all the motions. Next, we got into smaller groups to read The Odyssey and El Deafo. Students began taking notes that they will use to create a mural later in the week. After small group reading time, we headed outside for a snack and outdoor play time. When we came back in, we resumed our work on the iPads. Students were given some guidelines and ideas for video creation using the Explain Everything app. Finally, we ended the day by reading more from Trackers. What do graphic novels, iPads, and snacks have in common? Patterson RAPS Summer Camp, of course! We had an amazing first day of camp. We began by working on logic puzzles together to get our brains warmed up for the day ahead. We then headed upstairs and listened to graduate student extraordinaire, Zaz, read from the graphic novel, Trackers, by Patrick Carman. Next, we took a break and played a fun game called "Entourage." The primary books we're reading this summer are graphic novels. One group is reading El Deafo by Cece Bell and the other group is reading The Odyssey by Gareth Hinds. The students were introduced to the books yesterday, and we look forward to getting further into the books tomorrow. After we read, we headed outside for a snack. Even though it was unbearably hot, we found time for a short game of "If"! We ended the day by coming back in and exploring the iPad app, Explain Everything. We are really looking forward to seeing what the students are able to create with this app this week. Finally, Zaz led us in another read aloud of Trackers. It's going to be a great week! 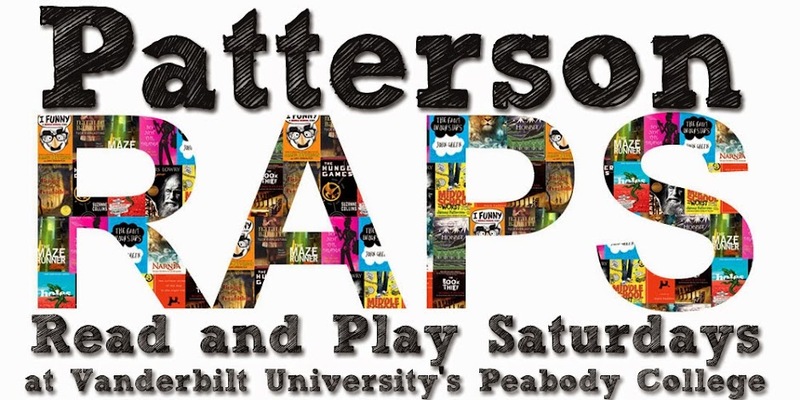 Patterson RAPS (Read and Play Schools) is a program at Vanderbilt University's Peabody College. 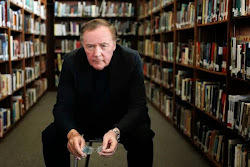 The program is funded by bestselling author, James Patterson. Patterson RAPS is for local middle school students near Vanderbilt University.